Andrija Pavlič, for the 800 anniversary of the Franciscan order, which has been alive in Bosnia with the Bosnian Franciscans for over 700 years, composed a mass with the Latin text called Missa Bosniensis. He also wrote a dedication: Dedicated to St. Francis Assisi, to all those unhappy, abandoned, and lost of this world, to the Bosnian Franciscans and to the choir, Pontanima. By no means the creative energy drove Andrija to leave nothing meaningless, but to express his fundamental driving force: a mass is most often libretto and musical structure with fateful seriousness; Bosnia is a holy place; Latin suggests lasting time and universalism; Saint Francis had unadulterated sincerity nurtured by the inspiration of solidarity with the unhappy, the abandoned, and the lost of this world— from the heart of Franciscan spirituality; Pontanima is the symbol of the indestructible spirit of Bosnia, which achieves discovery, acceptance, respecting others and differences. When the National Opera Choir of Sarajevo and Pontanima began to read the complicated, dissonant, not in the least easily performed music of Andrija’s mass, voices asked: what about this is at all Bosnian!? To this comment, a Pontanima soprano, Nada Bojanić, who approaches everything with her soul, responded: Really everything about this mass is Bosnian! Yes, even if in the whole mass there is not one sequence that suggests a direct musical root in Bosnia, the entire mass breathes with the strength of tones which echo the most intimate spiritual being of Bosnia; all intonation of this music spins out from the tonic musical memory of Bosnia and its weaving into the broad Slavic spirit; it listens for deceased music in Bosnian standing tombstones and the echo penetrated through the Bosnian land. 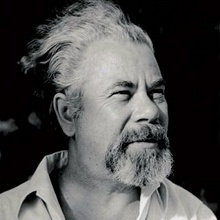 Musicians, like Modest Mussorgsky, who composed for piano Pictures of an Exhibition of Viktor Hartman, enjoy composing music to impressions of pictures. Listening to Andrija’s Bosnian Mass, you would like to be a painter and express the orbit of voices, their harmonic relations and rhythmic forms in colors. While listening to Andrija Pavlič’s Bosnian Mass, a current comparison arises: even if the new hymn to Bosnia and Herzegovina is beautifully and scholarly composed, it doesn’t have the romance of the nation’s memory; it is universally European or Western, but in it there is no trace of Bosnia and its Slavic soul with which the Bosnian Mass breathes. Andrija achieved this with mystical proto-Slavic seconds that dominate the mass, the tension of intervals of augmented fourths, sevenths, subdominant sixths (sixte ajoutée) and their immeasurable musical associations, unexpected tonal levels, chordal harmonies and intense sensitivity for the rhythm of the overall structure. In Andrija’s music, the root tone, the tonic, which all music is built on, has a decisive symbolic meaning: the tonic is the land, the separation between life and death, the ground from whose womb life grows out and cries out for eternity. Thus, the entire mass, even if it uses all modern music rudiments, has the strength of homophonic incline, as if it grew out of the power of the stringed gusla stretched across the face of the Bosnian land, and thus all its built up tonality is harmonically functional as a whole. 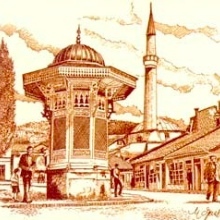 The musician Maja Budimir discovered from several accents that the rhythmic dynamics of the Bosnian Mass were inspired by the Bosnian kolo, songs and instruments and other traces that are nevertheless expressed in the performance alone. 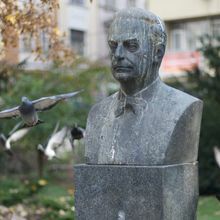 Of course, even if Andrija is a person of complete modern sensibility, while composing the mass, in spirit he was inclined towards the unerasable traces of memory, homeland, and Bosnia in himself. Andrija Pavlič’s ALLELUIA, with which Pontanima won first prize for modern spiritual music at the competition Musica mundi in Rome 2007, superbly reflects a harmonized feeling for life through its way of expression and rhythmic passages as they are present throughout the entire mass. Andrija does not have a direct exclaiming Alleluia, with which, for example, Bach jumps right to heaven. Andrija takes his Alleluia out of the earth’s womb, from the silence of the underground, arising not from devotion, but crying out with life. Only when this crying out articulates and stabilizes, does it musically ascend, which, when all is broken free from the earth in pure ascension and joyful play, and it again in itself carries the trace of memory from where it thoughtlessly arose. The KYRIE does not have a mystical connection with the Lord it addresses, it grows from the gloom of absurdity and death; it is rather a cry and search for meaning, a need for prayer rather than a prayer alone. The first tone comes from below the tonic, from the silence and gloom of the underworld, responding to it is the tense jump of an augmented fourth, then the dissonant tension of a second, and only then does it enter what founds and creates that open lasting path by maintaining the sub-dominant interval and not permitting the openness of the dominant. After the personified calling of the soloist who comes out from chordal tension, now the tonic bass begins, like a captured support on which all tones lean, finally the alto comes from the underworld. Gradually all opens again to the maintained interval of the subdominant which lasts and on which explodes the powerful Allegro pesante, a cry for deliverance which longs to wake the Lord from a stone sleep, protest, cry, pray and play. Towards the end everything calms down in a mystical silence, coming together, uniting, all voices become one, God is Emmanuel among us: Christe eleison. The unison octaves at the end act as the openers for the final message in fifths. The Gloria stems from the given security of discovery in the Kyrie. The movement is a tonal fanfare. With dignity the tree trunks raise themselves from the earth, celebrating ascension, still unrealized in excelsis Deo – Glory to God in the highest, glory to Love, without which the human heart is restless until it begins to embrace in it, as the mystic Saint Augustine described. The second part is loving children’s playing in holy peace on Earth – Et in terra pax, which once again begins in raised praise – we thank you, we bless you, we praise you. Praise is now a heightened religious devotion. The third part, Gratias – we thank you, is a fugue of soloists in dialogue with the exclaiming of the choir. The ending Gratias is in descending fourths, human praise is not worthy to that Glory. Then, all fall to their knees and in silence whisper the prayer Domine Deus – Lord God, King of Glory. The prayer in chatter rises with Holy Spirit in the Glory of God to Amen, in pure ascension, walking in the heavens in which the choir and orchestra give all their strength and finish in joyful thirds. The CREDO is the whisper of the earth, a recitative sighed by all creatures with adoption from which confession comes forth, the exclamation in unison of people as the highest and conscious beings: Credo – I believe. Through incarnation, embodiment, and in creation the saving holy life is set forth – it confesses at the climax in unison et homo factus est. Then the events of the salvation are confessed and numerated in order, Et resurexit – and the resurrection breaks through the partition towards eternity, played out in rhythms and holy tension breathes with a trace of eternity on earth and finishes with the explosion of the exclamation Amen which finally eases into a pure chord of achieved blissfulness. The SANCTUS is played out on the achieved purity of the Credo – on the earthly anxiety is the angel game of eternity. Then in powerful intervals from souls the cry grows: Sanctus Deus Sabaoth – may what is Holy be above all, from which all comes and to which all returns. Pleni sunt coeli – full are the heavens, again the zealous unison bursts upwards towards the heavens, heavens resounding and descending in holy unity to the earth which will again ascend to the heavens with the beginning of the celestial game of Hosanna. Benedictus – Blessed enter the soloists. This is pure musical meditation, a prayer of the heart, and it seems that this dialogue between soloists and choir should be carried out on knees, as if the movement of getting up will raise them not only on their legs, but transform them into angelic beings who will once again frolic in the finale, Hosanna. AGNUS DEI – The Lamb of God is begun with the choir’s destructively penitent sadness and crying out of various sins which hurt from far away to up close experienced eternity. From this valley of tears burst forth the individual prayers of the soloists that the choir of sinners turns into a community of prayers. But the common ground of the deepest cry from humans and creatures is expressed in the Bosnian Mass in Peace. Dona nobis pacem! Give us peace! There is no peace without all of humanity’s moving with the taste of eternity. Peace from heaven descends to earth to become the whisper of the earth, Bosnia’s peace. With the whisper Pacem, peace disappears into silence, to be settled down in the face of the earth, and under the skin of all people and creatures.